Javier Vargas was born in Madrid shortly after his parents had left Buenos Aires where they had migrated some years before. Nine years later, the family returned to Argentina and it is there where Javier started playing the guitar. His first musical influences can be traced to Argentine rock of the late 60’s and early 70’s, bands such as Led Zeppelin, Black Sabbath, Cream, Rolling Stones, The Doors, and musicians like Jimi Hendrix, Carlos Santana or B.B.King, who are powerful sources of inspiration still today. In the 70’s, Javier decided to go to the U.S to study music. He lived in Nashville, Tennessee, and in Los Angeles, he played in clubs and took part in recordings as a session guitarist. Each night he played in jam sessions with American and English artists and met important musicians like Alvin Lee, Roy Buchanan, Canned Heat, who also influenced his style. He returned to Spain in the 80’s, joined Miguel Rios’ band and took part in several albums – Los Viejos Rockeros Nunca Mueren, Rock and Roll Boomerang, Rock and Rios – signing many songs such as Un Caballo Llamado Muerte, Generación Límite, or Nueva Ola. He also played with Orquesta Mondragón and worked as session musician and composer. In 1990, he makes the most important move of his career and creates his own band: Vargas Blues Band. All Around Blues, is the first album Javier Vargas recorded as leader of Vargas Blues Band, with collaborators Elena Figueroa and Philip Guttman among many others. Carey Bell and Lousiana Red, flamenco guitarist Rafael Riqueni and the vocals of Philip Guttman and Jeff Espinoza. Both albums -All Around Blues and Madrid-Memphis- became widely popular and had record sales for a blues record in Spain. In February 1994, Blues Latino is released with collaborations from Flaco Jiménez, Chris Rea, Junior Wells and Andrés Calamaro and was widely acclaimed by a very diverse audience. It was also released in Argentina and Vargas Blues Band played in Buenos Aires with a resounding success. The song ‘Blues Latino’ was later recorded by Carlos Santana and released worldwide in his album ‘Santana Brothers’. Santana also played ‘Blues Latino’ in Woodstock in 1994. In May 1995, Texas Tango was recorded in Ardent Studios, in Memphis and in Austin, Texas. It was produced by Jim Gaines with collaborations from Double Trouble, Stevie Ray Vaughan’s band, Larry T. Thurston (Blues Brothers) and Preston Shannon. It was released in Spain, France, Switzerland, Colombia, Mexico and Brazil. In 1996, the band plays live in Paris, in festivals in France and Portugal and in the Montreux Jazz Festival in Switzerland. In July, Javier is invited by Carlos Santana to play two songs together in Le Zénith in Paris. The passion transmitted by both guitarists drove the audience wild. The invitations were repeated in 1998 when Santana played in Madrid (Conde Duque), in Paris (Bercy) and during the Supernatural tour in Spain. In 1997, Gipsy Boogie was recorded between Madrid and Memphis, again with producer Jim Gaines. It was mixed in Florida and mastered in New York, with collaborations from Raimundo Amador, Carles Benavent, La Chonchi, the Cuban singer David Montes, Chester Thomson, Lonnie Brooks, Larry McCray, Little Jimmy King, David Allen y Larry Graham (former Sly & The Family Stone). The album, which was released in 24 countries, was nominated to the Premios Amigo, and the band went on tour to France, Italy Germany and Portugal. In December 1998, Larry Graham, then musical director of The Artist’s band, The New Power Generation, introduced Javier Vargas to The Artist (formerly known as Prince), who invited Javier to play along in several songs in his concert Jam of the Year, in Palacio de los Deportes in Madrid. Feedback/Bluestrology, released as a double CD in 1998, was Vargas’s sixth album. It was recorded in Checkendon, England, co-produced by Ian Taylor (Gary Moore’s producer) with his usual Memphis team of collaborators: Steve Potts, Dave Smith and Ernest Willianson and the band’s vocalists Bobby Alexander and David Montes. Bluestrology was also edited as a separate album at the beginning of the year 2000. In November 1999, Vargas Blues Band travelled to the U.S to record their first live album in “Buddy Guy´s Legends” in Chicago, with guest performances by Larry McCray, harmonica musician Sugar Blue and flamenco ‘cantaora’ Elena Andújar. The concert was recorded by a mobile unit under Ian Taylor’s supervision. Javier also played onstage in the ‘Legends’ invited by Texan guitarist Chris Duarte. In December that year the recording was completed in Kirios Studios, in Madrid, with outstanding guest performances by Elena Andújar, David Montes, flamenco guitarist Juan Gómez “Chicuelo”, percussion by Gino Pavone, Argentine bandonion player Jorge Lema, and the ‘cantaor’“Marchena”, David “Lads” Sánchez at the keyboards, Jota Marsán on drums, Fran Montero on bass and Ian Taylor again in charge of the recording. The record Madrid-Chicago Live and the video recording of the ‘making of’ were released in May 2000. Last Night includes all the songs recorded in “Legend´s” and a DVD of the Madrid concert with scenes recorded in Chicago. It was edited in 2002, and it has received excellent reviews in Spain as well as in Europe and the U.S.
2002 is the year of Javier’s reunion with his roots on the other side of the Atlantic: JAVIER VARGAS & ESPIRITU CELESTE, TRIBUTO AL ROCK ARGENTINO, is the album that brings in together the musical experiences he lived Turing his years in Argentina and the influence of great local musicians such as Litto Nebbia, Pappo, Claudio Gabis or Luis Alberto Spinetta. 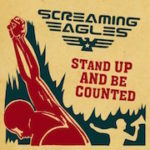 The album includes 16 versions of great Argentine rock classics such as “Avellaneda Blues”, “El Tren de las 16”, “Mr. Jones” and “La Balsa”, with guest performances by Litto Nebbia himself, goal-keeper musician German “Mono” Burgos, and Luis Mayol, on vocals and bass. In 2003, Chill Latin Blues, the first wholly instrumental album, with the marked prominence of Javier’s guitar was released. Later, in November, the live concert in Oasis in Zaragoza is recorded and released as Spanish Fly, also an instrumental album. The quality of the recording is such that the record company Dro East West decides to release a DVD with a choice of fourteen songs from the regular repertoire of the band, two new songs and versions of Fleetwood Mac’s Albatross and John Mayall and the Bluesbreakers’ Steppin’ Stones. At the beginning of 2004, “El Alma”, a CD-book compilation, was released by DRO East West as a special edition within a collection they have been editing of the works of their most important artists. Also in 2004, Vargas begins recording LOVE, UNION, PEACE in Ardent Studios in Memphis, where he had recorded Texas Tango, with John Hampton as sound engineer (ZZ Top, Stevie Ray Vaughan, R.E.M., Soundgarden) with guest performances by Glenn Hughes (Deep Purple), Jack Bruce (Cream), Alex Ligertwood (ex cantante de Santana), Elliot Murphy, Jaime Urrutia, flamenco guitarist Juan Gómez “Chicuelo”, and Devon Allman, among others. The album, released in March 2005, includes thirteen new songs and a more ‘rock’ feel to it, loaded with good vibes. Some of the most popular songs are “Tiny Paradise”, “Dance Away the Blues”, “Magic of the Gods”, or “How Verso Are You”, which was the theme music for the Toyota Verso campaign. A later edition included a DVD. The Vargas Blues Band international renown increased and Turing 2006 and 2007, the band tours Canada, Norway, Germany, the U.K, taking part in prestigious festivals like Mont-Trêmblant Blues Festival (Montreal-Canada) and Fête du Lac des Nations, in Sherbrooke (Canadá), playing along Credence Clearwater Revival; the Notodden Blues Festival (Norway) playing along with Gary Moore, Johnny Winter and Jeff Healey, among others. In March 2007, LOST & FOUND is released including twelve new songs in a CD, three of which are sung by Devon Allman, and a DVD with two hours’ worth of videoclips and live material from the European and Canadian tours. Some of the most important songs are “Get Funky”, “Man on the Run”, “Open your Eyes”, “Lost & Found” (the album title song) and a version of Derek and the Dominos’ ‘Layla’, sung by Devon. 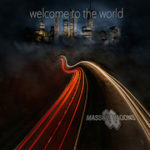 In May 2008, FLAMENCO BLUES EXPERIENCE wass released. It mixes blues and rock with flamenco, showing the crossbreeding that charaterises Javier Vargas. It was recorded in Ardent Studios in Memphis, again with sound engineer John Hampton, Jason Latshaw in charge of the mixes and the sleeve design by prestigious graphic designer Bob Masse, some collaborations by Canadian guitarist Frank Marino, Devon Allman, Raimundo Amador, Steve Potts, David Smith, Mauri Sanchís, Rey Morao and The Cherry Boppers, vocals by Devon, Tim Mitchell and Bobby Alexander. It includes eleven songs like “Walking the Streets”, “Beautiful Woman”, “Blues para Lucia”, “Tierra del Vino” and “No pasa nada”. 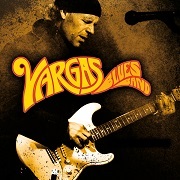 In June 2009 VARGAS BLUES BAND, COMES ALIVE WITH FRIENDS was released. This album includes a DVD and a CD, in digi-pack with a beautiful spread, with the recording of the live concert at Sala Breogain in Vigo on 20th. December 2008, with Henry Sarmiento in charge of technical control, and guest appearances by Devon Allman, Raimundo Amador, Claudio Gabis, Jorge Salan and Álvaro Tarquino “Chevere”, and the new Vargas Blues Band: Tim Mitchell (vocals), Luis Mayol (bass), Peter Kunst (drums), and Javier Vargas (guitar). In this new album, Javier and his band showed the strength of their live performance in an excellent blues-rock live session. The DVD includes twenty songs and the CD includes fourteen. The main album song is Neil Young’s “Down by the River” sung by Devon Allman. Other songs are “Get Away with Murder”, “Blues in my Soul”, “Wild West blues” and “Mojo hand”. Turing the autumn and winter of 2009 and the whole of 2010, Vargas Blues Band went on a tour of Spain and Europe to promote the new album. , Simultaneously, at the beginning of 2010, Javier Vargas started the tour LIVE GUITAR NIGHT 2010 with Jorge Salan, a brave bid of two of the best Spanish guitarists right now. In May 2010, a new Studio album, MOJO PROTECTION REVISITED, was released. This is a revision of the album edited in Argentina in 2008 under the name MOJO PROTECTION, and it also includes new songs by Tim Mitchell y Javier like “Talking About the Blues”, “You Got Me”, “Passion Blues”, o “Mojo Protection”, recorded with the latest members of the band: Javier, Tim, Luis Mayol (bass) and Peter Kunst (drums). In March 2011, Javier started a new Project called VARGAS, BOGERT & APPICE or VBA, and travelled Las Vegas to record alongside the legendary Carmine Appice (drums), Tim Bogert (bass), both former Vanilla Fudge, Cactus, Jeff Beck, King Cobra, and with Paul Shortino (vocals), former Rough Cutt and Quiet Riot. This is an album of versions of rock and R&B with a new twist. The album was recorded at Hit Track Studios in Las Vegas and mixed at Ardent Studios, in Memphis with sound engineer Brad Blackwood. It was released in June 2011 and it will be released internationally by Warner as a CD with a special CD plus CD Live Wire (European Vargas Blues Band tour 2010)plus DVD with the ‘making of’ of the Bogert, Appice and Shortino album.